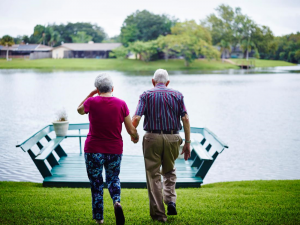 Money Magazine just released an article in a series of stories written by Donna Rosato on Coping with the Aging’s Costliest Challenge: The Costs of Dementia. If you have a family member living with dementia or Alzheimer’s and you’re caring for them, you know first-hand the financial challenges this uniquely devastating disease can bring. We are proud that our own Nurse Gina, our professional geriatric care manager and RN on staff, was quoted in this article. Nurse Gina has been a vital part of FirstLight Home Care’s team, dedicated to building caring and affordable services to help families with aging parents, adults with disabilities, Veterans, and those recovering from surgery and in rehabilitation. At FirstLight Home Care, we understand the financial and emotional toll of any illness — dementia in particular – that it has on families. We know caring for family members can have high and unexpected costs. At FirstLight Home Care, we’re committed to delivering the industry’s best care at a good value. Please click here to read the entire article.